My mom won a copy of this book from a Goodreads giveaway, and had my 11 year old review it for her. Her review is pasted below – I would note that this book seems to be intended for a younger audience, but it is written in cursive, so any second or third graders who haven’t learned cursive yet might need someone to read it to them. That’s half the fun of kids books anyway though, right? 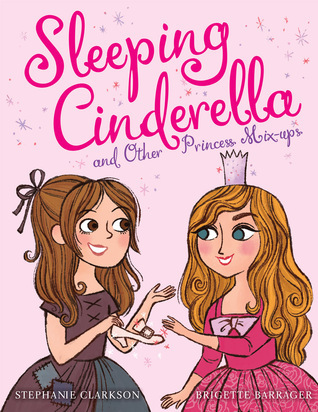 I really liked this book because it really changes my favorite fairy tale princess. It showed how the princesses really didn’t like their house and life so they switched with another princess. In the end the princesses learn to compromise with what they didn’t like so they could live a happy life. It changes the ending of the fairy tales and shows how they change their fate.